OK fellas, this one is really calling to me. Can't figure out if the bezel moves or not tho. While not exactly the same, the closest substitute is the Guanqin GS19060 for $25.99 I suspect the chrono functions are only running on the subdials. Thanks Houston - I'd seen those Guanqins and liked the look of them, but the chrono seconds on the sub-dial is the deal-breaker for me! I'll keep an eye on that Geya on Ali and hopefully it'll come down in price at some point. That's the Ochstin GQ044A. 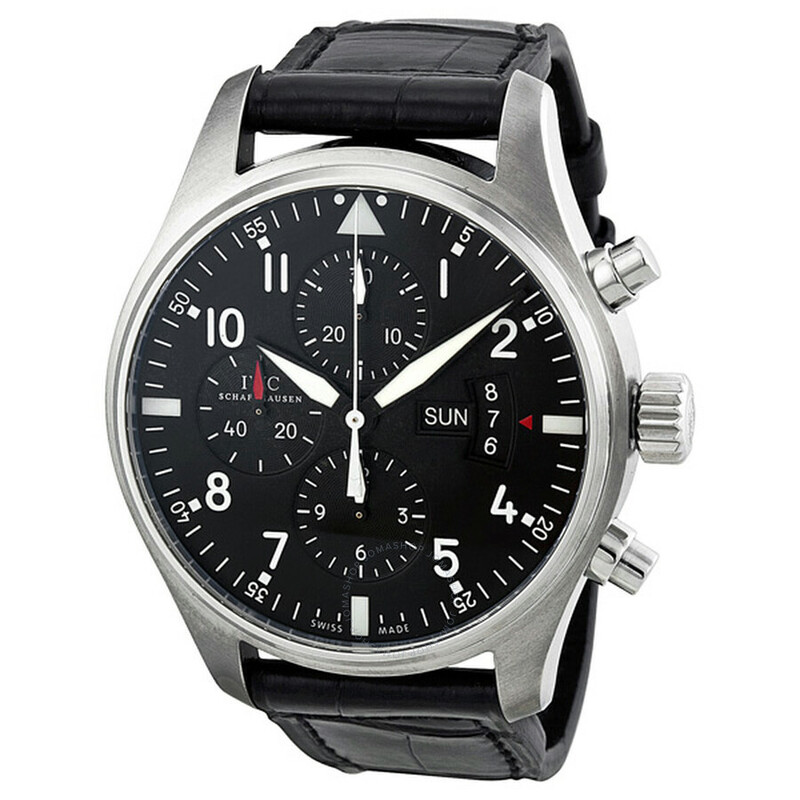 The chronograph only runs on the sub-dials, and the central second hand is just a continuous sweep second. I suspect the bezel is fixed, since all the pics show it aligned to 12:00 (or 11:59). Several sellers offer it for $18.99. Lume on hour and minute hands only. Last edited by HoustonReal; May 16th, 2017 at 12:49.
hanshananigan and RacerMachX like this. No need, it's like Houston gets a text message before the deals go public. BalooSD, mrwomble, hanshananigan and 1 others like this. I wouldn't be surprised if they were exactly the same, wouldn't be the first time on Ali! Gimto also has one. The difference can be the movement used, Sunon vs Miyota or Seiko, and sapphire vs mineral crystal. The cases and dials may be be from the same suppliers. The Guanqin comes in different colors, and has small differences in the hands and dials, plus sapphire. The other two have greater water resistance ratings. The bracelets all look the same. They are all copying the IWC original, so it's hard to know how much commonality they share. Last edited by HoustonReal; May 17th, 2017 at 18:01. Yhey are all copying the IWC original, so it's hard to know how much commonality they share. Thanks Houston. I've been considering picking up something in that IWC style but the only ones I've seen with a proper chrono seconds on the central seconds are the Parnis version and the Geya. Do you know of any others? Ali Express... any experienced user out there? ?